Get ready to step up your game, explorers! Google Maps is releasing an update for its gamified program to encourage reviewing of businesses and other locations within the Google Maps app. Local Guides was introduced in 2015 as a fun, interactive way for users to contribute to Google Maps. 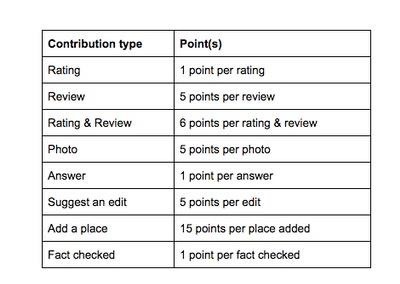 With its competitive reward system, "Guides" can contribute reviews and photos in order to gain points and level up. As users make their way up through the levels, they become privy to early access to new features along with special perks from partners. Previously, Local Guides users were only able to reach level 5 before they were capped off and stopped receiving new rewards. This provided little motivation for people to continue once they reached 500 points. However, Google Maps' is ready for round two by offering five new levels for its users to explore. Not only that, but they've upped the rewards as well. For example, reaching level four on the updated Google Maps will get users 75% off of movie rentals from Google Play and three months of free access to Play Music. But these huge rewards come at a steeper price. This all sounds pretty good, especially with how easy it is to sign up to become a Local Guide. All you need is a Gmail account and the desire to explore new places. You can sign up to be a Local Guide on their website or through the app itself by clicking on "Your Contributions", and then hitting the "Get Started" button once you're there. Google Maps is available for download on the App Store and the Play Store. Google isn't the first to create a gamified business review platform, but it has left a mark so far. Foursquare attempted something similar with "Tips", short messages about a location. With Tips, Foursquare users were able to get "expertise" level based on likes, views, and saves. The program started to plummet along with Foursquare's downloads until they were forced to rebrand. It's hard nowadays for apps like Google Maps to compete in the user review game with brands like Yelp, and hopefully this update will help to keep them in the running. The update is releasing today, but the process is going slow. While the update is going to be nationwide, don't be surprised if it takes a bit for it to get to your neck of the woods.